Born in Puerto Montt, Chili, in 1941, he would write poems and shoot films of his family on 8mm, as a child. Rising to international prominence in the early 1980s, Raoul Ruiz has proved one of the most exciting and innovative filmmakers of recent years, providing more intellectual fun and artistic experimentation, shot for shot, than any filmmaker since Jean-Luc Godard. He explored diverse film genres, from aviation detective stories, Christmas horror, to rock-science-fiction. He doesn't believe in a bad film. Or, rather, he is convinced that a bad film always has at least five minutes of pure poetry, just like there are five minutes of pure poetry in the best films in the world. In the 60s, he was one of the leading figures on the Chilean cinema scene and supported Salvador Allende. Following the fascist coup in 1973, Ruiz was forced to flee his country. Since that time, he has been living in Belleville, Paris, where he dedicates his time to writing posthumous novels and film projects. From 1960 to 1994, he has directed numerous feature films. Trois vies et une seule mort (Three Lives and Only One Death), with Marcello Mastroianni, presented in the Official Selection at Cannes in 1996, definitely raised him to international fame. Then, in 1997, he shot Généalogies d'un crime (Genealogies of a Crime), with Catherine Deneuve, for which he received the Silver Bear at the Berlin International Film Festival. 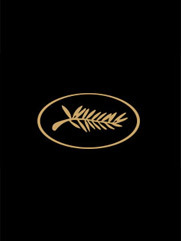 Le Temps retrouvé (Time Regained) (1998/199), based on Marcel Proust's novel, and Les Âmes fortes (Savage Souls) (2001), based on the Jean Giono book, were both presented the International Cannes Film Festival.